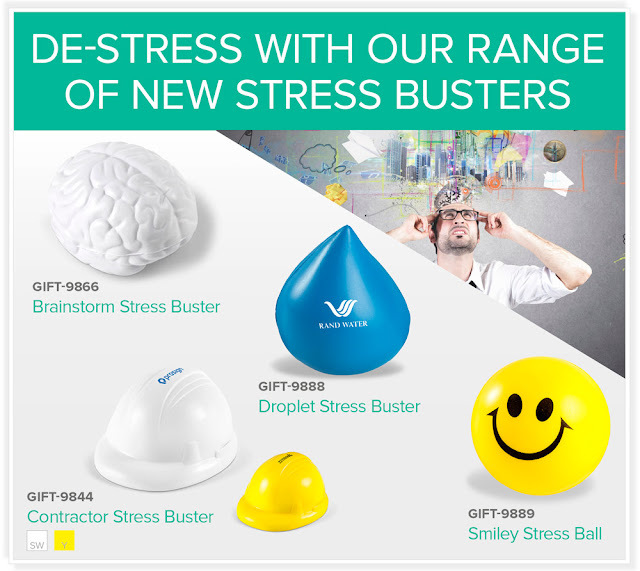 Our fun and exciting new Stress Balls are the perfect give-away for people of all ages in any industry. An extremely popular novelty item, our promotional stress balls are available in an assortment of shapes. Please note, due to the shape and surface pattern of the Brainstorm Stress Buster, this item does not allow for any branding.